Traumatic brain injury describes damage to the brain that results from any kind of injury to the head or the body. When a head injury occurs, loss of brain function can occur even without visible damage to the head. Force applied to the head may cause the brain to be directly injured or shaken, bouncing against the inner wall of the skull. 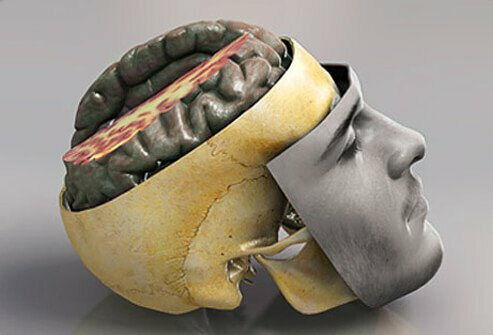 The trauma can potentially cause bleeding in the spaces surrounding the brain, bruise the brain tissue, or damage the nerve connections within the brain. Symptoms of head injury (traumatic brain injury) can vary widely from no initial symptoms to coma. Symptoms of traumatic brain injury may include unconsciousness (even for a short period of time), prolonged confusion, seizures, and multiple episodes of vomiting. Concussion-type symptoms that result from head injuries may include difficulty concentrating, increased mood swings, lethargy or aggression, and altered sleep habits. A serious head injury should be evaluated by a medical professional to check for a possible concussion. It is important to remember that a head injury can have different symptoms and signs, ranging from a patient experiencing no initial symptoms to come. A high index of suspicion that a head injury may exist is important, depending upon the mechanism of injury and the initial symptoms displayed by the patient. Being unconscious, even for a short period of time is not normal. Prolonged confusion, seizures, and multiple episodes of vomiting should be signs that prompt medical attention is needed. In some situations, concussion-type symptoms can be missed. Patients may experience difficulty concentrating, increased mood swings, lethargy or aggression, and altered sleep habits among other symptoms. Medical evaluation is always wise even well after the injury has occurred.